Legend has it that Romulus founded Rome from the top of Palatine Hill in 753BC. With more than two millennia of history, the city offers a spectacular and unmatched array of sights and experiences. Rome's most famous ancient attraction is the Colosseum, the great arena of the gladiators dating back to 80 AD. Nearby lies the Roman Forum, established in the 7th century BC, and now the ruins of what was once the social, political and commercial centre of the Roman empire. Next on the list of historic attractions is the Pantheon. Tourists enter the great church through massive bronze doors to marvel at the largest unreinforced concrete dome ever built. Watching the sun stream into the church through the oculus is an unforgettable experience. 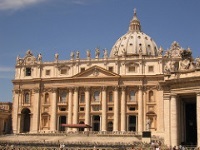 Within Rome's borders lies the independent state of the Vatican City. The Vatican museums house one of the world's great art collections, culminating in Michelangelo's famous frescoes adorning the Sistine Chapel. 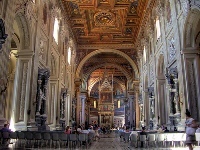 Rising above these spectacular works of art is Italy's largest basilica, St Peters. 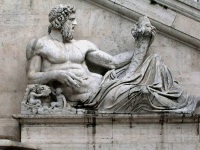 Michelangelo was also the architect behind the soaring dome that looks down over St Peter's square and beyond. 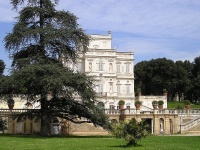 Tourists still thirsting for art can visit the Museo e Galleria Borghese for paintings by Caravaggio, Raphael, and Tition, and sculptures by Bernini. The Capitoline Museums are the oldest public museums in the world, dating back to 1471, and house an incredible collection of sculptures. 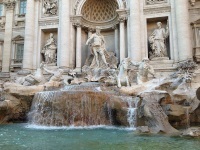 Those tired out by the endless attractions can fall back into the Roman way of life. Wander the streets, relax at cafe's, and watch the world stroll by before heading to a pizzeria or trattoria for authentic Roman fare, gelato and of course a shot of strong Italian coffee.